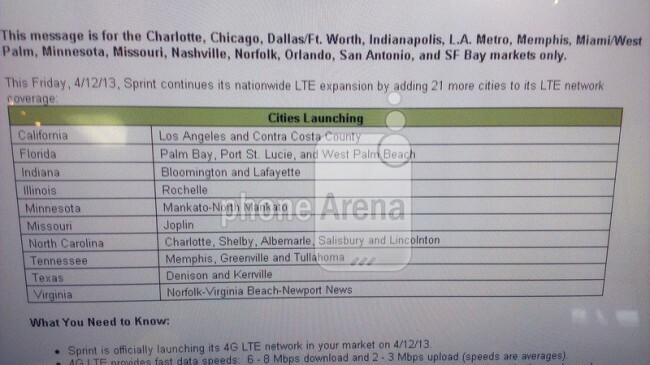 According to a recently leaked internal document, Sprint plans to light up a nice list of 4G LTE markets here in the U.S. on April 12. A total of 21 markets will have their switches flipped, bringing their grand total of active 4G markets to nearly 100 now. Below we have neatly listed out each city that should receive the green light sometime tomorrow.